Images and details of the coin kindly provided by the finder. 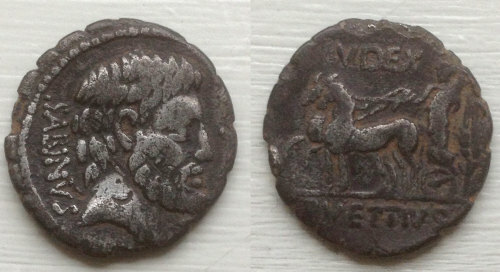 Obverse description: Bearded head of King Tatius right, monogram below chin. Republican moneyer: Vettius Sabinus, T.